Peyton is one of those players others do not like to face. She returns EVERYTHING and will outwit/outlast the toughest of opponents. 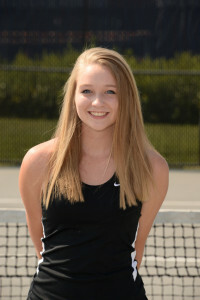 She earned 3rd place in 1st doubles with her partner, Allison Romito, at the GMC’s. Hannah is a fighter. 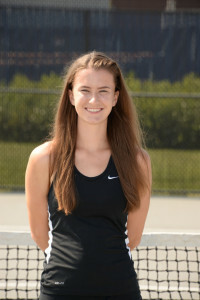 She works through points and is the most competitive player on and off the court. Every coach dreams of coaching a player like Hannah–hardworking, determined, and NEVER quits.